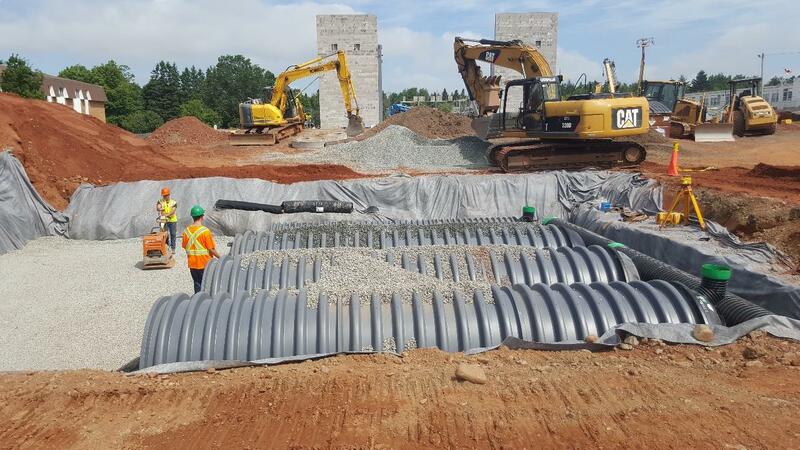 Turf Masters worked collectively with General Contractor on a complete overhaul of a P4 school site in Bible Hill, NS. 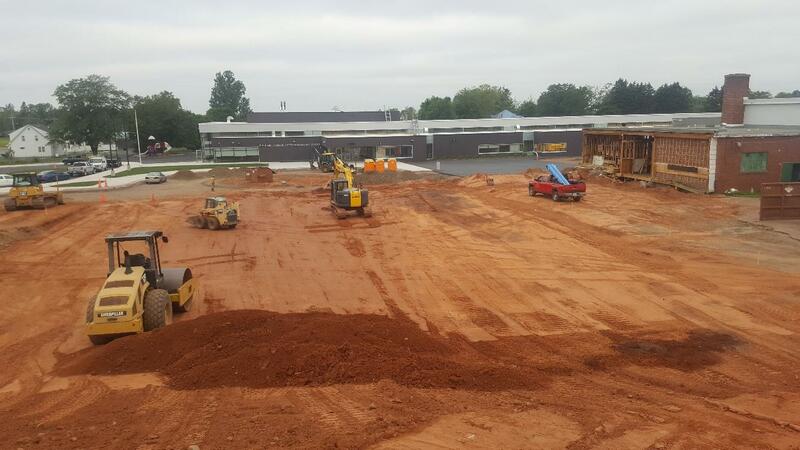 This project involved site preparation for demolition of the previous school, further work throughout the reconstruction of the new building and all finishing landscape/civil work. Installation of both manholes and catch basins throughout site. Construction of 2 natural sport fields on site. Installation of all site furnishing and hardscapes. Base work construction for new building.